Including blogs on money saving tips for mums, investing, pensions, becoming frugal and the most popular money saving blogs in the uk. February may be on it’s way out, but don’t let your money follow in the same way. Make this year a financially healthy one, by having a look at these money saving blogs that could help you save your family more money. None of these are in any order, but are all amazing family friendly money saving blogs that will really help save your family money. 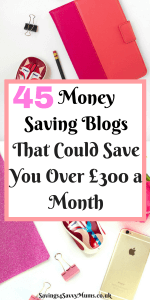 These money saving blogs are so good, that many will be able to save your family around £300! Try our “Save £300 a Month Money Saving Challenge” where we give you ideas on how you could save your family more money every single month. 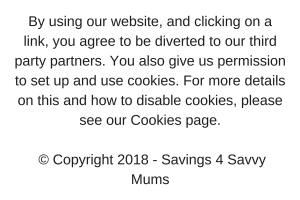 If you’re looking for other mums who love saving their family money, then come join our Money Saving Mums Facebook group today. We don’t spam. We just send you money saving ideas, tips and deals to have you keep more money in your pocket. 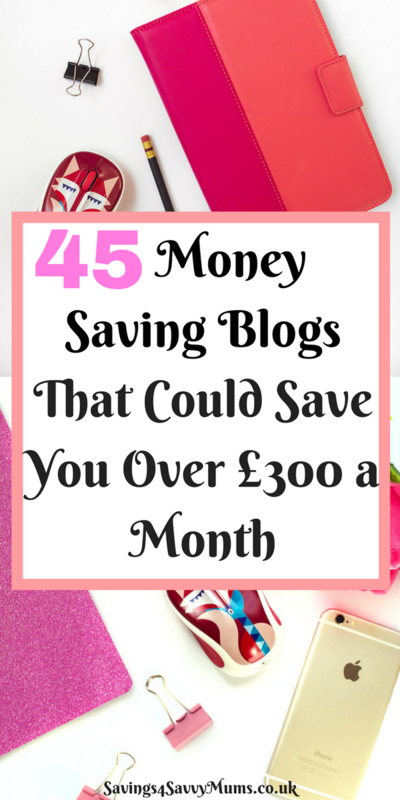 These are the best of the best uk money saving blogs. They may not blog about family life, but they give you a real insight into how you can save money and still live the life you want. Zoe is all about spending less while still being kind to the environment and her families quality of life. Faith blogs about how to save money and get more for your money. Everything is covered, from re-gifting to meal planning and fitness. Adam’s mission is to help you grow your pennies while studying to become a financial adviser. Nick covers everything financial and other matters from a 60+ perspective. Jane blogs about her thrifty, creative and organised life. Vicky talks about how to yourself out of debt, issues with debt and how to be more savvy with your money. David talks about life, work, making money, spending money and saving money. Rebecca is all about budgeting, money saving and getting to grips with personal finances. Pete blogs about various ways to make money from home and how to save on your bills. Trish thinks that money matters and talks about living simply, early retirement and travel. Neil is a saver & P2P lending enthusiast. He blogs about his experiences using platforms like RateSetter, Funding Circle and the benefits/problems you come across! Cora is dedicated to earning money, saving money and helping people to take back control of their finances. Francesca blogs about her journey of paying off debt, saving money & making money to achieve financial freedom! Lee writes about personal finance, child maintenance & enjoying family life on a budget. Eileen loves helping people to create the life they want, through improving their relationship with money. As mums, we all want to save more money for our families. These are the best money saving tips for mums on the web right now! Jenny writes honestly about how she saves money as a mum and how she makes it while sat on the sofa. Hollie is dedicated to showing her readers how you can maintain the lifestyle you have without the big price tag. This mama on a mission to be healthier and wealthier. Donna finds the latest deals and offers online while sharing her money saving tips and ideas. Kalpana is extremely passionate about making finance simple and accessible as well as helping consumers make the most of their money. Olly covers everything from freebies to vouchers and provides information on where and how people can get the best value for money possible on a variety of things in life. Jodie is a self confessed lover of money saving and bargain hunting. Emma blogs about how to help people make the most out of their money! Jane and Charoltte are all about sharing their solutions for all money challenges and passing on tips they discover. Lynn writes about healthy wealth, body and mind. Emma blogs about being a mum and how to survive on a freelance income. These are the most popular money saving blogs in the UK right now. Emma writes about ways to make and save money. Anything goes, from selling old shoes on eBay to showing her audience all the great bargains in Poundland. Whether it’s paying bills, booking a holiday, finding a shopping bargain or helping you understand budgeting better, Andy is on hand to help you make the most of your money. Ricky is dedicated to putting more money in your pocket. Lotty loves finding a bargain while staying financially stable. She covers everything from freebies to deals to saving money. Deepak and his team update their site daily with free samples & coupons. Di shares fun competitions, tips and inspiration! Ashleigh and her team find the very best deals on the web, while bringing you the latest financial news and finding prizes for their amazing competitions. The LD boys host a website that lets their readers share the hottest deals, voucher codes, coupons, freebies and competitions with each other. These frugal blogs will help you start your frugal journey and keep more money in your pocket. Cass writes about how you can become frugal as a parent while still living life with your family to the full. Jane blogs about debts, bargain hunting, discounts, frugal recipes & the odd bit of extreme frugality! David talks about personal finance, money saving, money making and thrifty cooking tips. Nicola focuses on simple living and early retirement. Annelies is obsessed with saving money and blogs about her inspirations and lifestyle. Clare is a mum to three children, who is juggling family life and working from home. Nicola writes about personal finance, clearing debt and living to a budget. Martyna is all about finding the best money saving deals and offers so you can have more for less and be happier. Helen is on a mission to fight for your consumer rights! She blogs about the bets ways to make a complaint, how to deal with it and get a positive outcome. Katy talks about her matched betting journey and how to save money online without ditching your lifestyle. I hope some of these blogs help save your family some money. Let me know if I’ve missed any good ones out.